In the hours after the first Democratic debate on Tuesday night, a two-part media narrative emerged about what’s next for the party as it selects a nominee: Hillary Clinton has steadied the ship, and that’s bad news for Joe Biden if he truly does want to run for president. Though some smart augments have been made that Bernie Sanders deserves more credit for his debate performance, both observations about Clinton, and what it means for a third Biden run, are on point. The former secretary of state had her best night in months, winning points on gun control and getting an assist from rival Sanders on the email scandal that has hurt her credibility numbers in recent months. It was far from an on-stage collapse. "I think it’s fair to say, knowing him as we all do, that it won’t be a scripted affair – after all, it’s Joe"
Translation: other candidates, ahem, in the race are too scripted, and as anyone who follows politics knows, that’s not really Biden’s thing, for better or worse. Oh, and authenticity is playing well on the other side. "If he decides to run, we will need each and every one of you – yesterday"
Translation: building a campaign team at this stage of the game is a daunting task. A Biden team could reach deep into the Democratic bench for campaign operations, communications, and strategy players. "He is determined to take, and to give his family, as much time as possible to work this through"
Translation: "back off." Clinton campaign chairman John Podesta said this week that it’s time for the vice president to fish or cut bait. Yet it’s clear from Biden’s recent sit down with Stephen Colbert that the death of Beau Biden is still very fresh. He’ll make up his mind on his own timeline, for the most part. 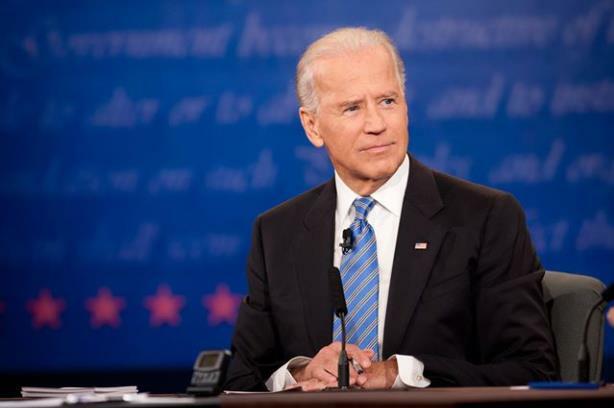 Notably, Bloomberg has reported that Biden has reached out to operatives in early voting states to gauge his chances. Will he run, adding a new layer of intensity to a primary process many again think is a foregone conclusion? Stay tuned.